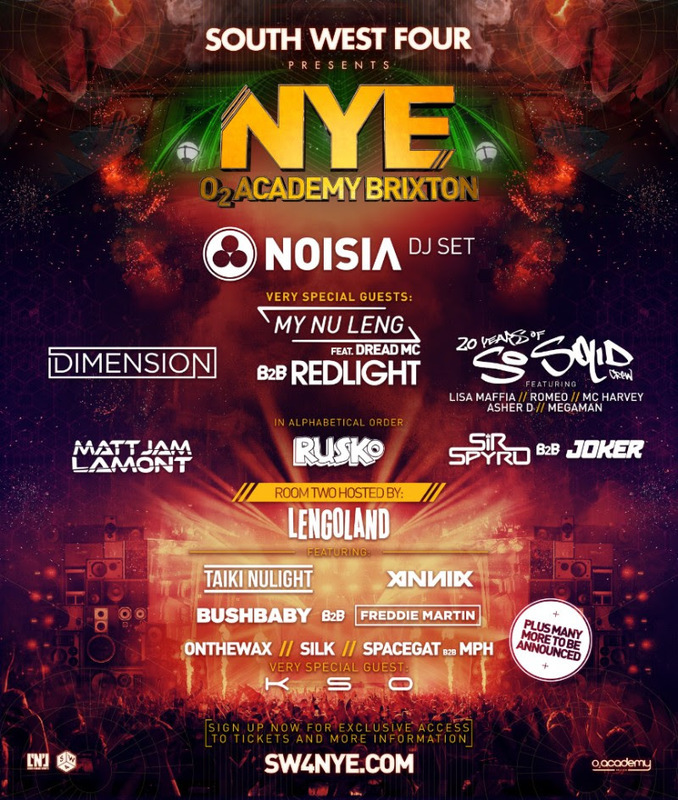 Noisia, My Nu Leng, Redlight, Dimension and So Solid Crew are among the acts who will play South West Four’s New Year’s Eve 2018 party at O2 Academy Brixton. Part of a new ‘SW4 presents’ event series, the night will also see Rusko, Matt Jam Lamont, Sir Spyro and Joker play. The So Solid Crew will mark their 20th anniversary with a show featuring Lisa Maffia, Romeo, MC Harvey, Asher D and Megaman. My Nu Leng will play back-to-back with Redlight while Sir Spyro will do the same with Joker. Room two will be hosted by Lengoland with Annix, Bushbaby b2b Freddie Martin, Taiki Nu Light and KSO. More acts are still to be announced with music across four rooms. The night will run from 9pm to 5am. Pre-sale tickets for SW4 Presents NYE will be available from Wednesday, October 24th. General sale will start on Friday, October 26th. Sign up for the pre-sale at sw4nye.com.